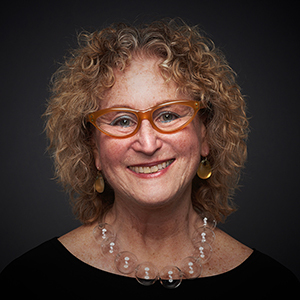 PENNY BALKIN BACH is the Executive Director & Chief Curator of the Association for Public Art (aPA, formerly the Fairmount Park Art Association). A curator, writer, and educator who provides artistic direction for the organization, she is well known for her work with artists and for her innovative approaches to connecting public art with its audiences. She supports the creation of opportunities for new works by artists and creative professionals, promotes the interpretation of art in public spaces, and advocates for the responsible stewardship of public art. Bach has been a participant on numerous local, national, and international public art juries and conservation advisory committees. She has served on the national Public Art Network (PAN) Council, an advisory body to the Americans for the Arts. She currently serves on the Mayor’s Cultural Advisory Council for the City of Philadelphia, where she is Chair of the City’s Public Art Advisory Committee. Bach is the Executive Producer of Museum Without Walls™: AUDIO, a multi-platform, interactive, award-winning audio guide created to engage the public with Philadelphia’s preeminent collection of outdoor sculpture. The author of the landmark book Public Art in Philadelphia, she has written and lectured extensively about public art and the environment. Bach received an honorary Doctor of Fine Arts degree from the Moore College of Art & Design. She is a BFA graduate of Temple University’s Tyler School of Art in Philadelphia, and received an MA in Visual Communications and Social Organization from Goddard College in Vermont. She pursued graduate studies in fine arts and design at the Allgemeine Gewerbeschule in Basel, Switzerland.